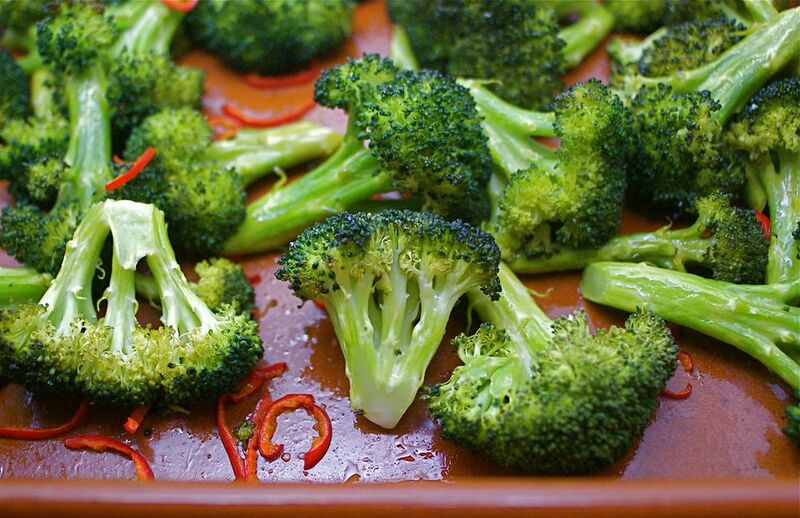 By roasting broccoli with a few chiles and a bit of lemon, you can turn this quotidian vegetable into a new treat, adding a lot of flavors as well as texture to what could otherwise be a rather tame and boring meal. Trim the broccoli and cut it into large bite-size pieces. Toss the broccoli with the oil. Transfer the broccoli to a roasting pan. Sprinkle the broccoli with the sliced chile, lemon zest, and salt. Roast the broccoli until tender and browning on the edges, about 30 minutes. Sprinkle with fresh lemon juice to taste and serve.